Frying up some salt pork is the essential first step in making classic seafood or corn chowders. This homemade salt pork is more flavorful than the store-bought version, and it's very simple and inexpensive to make. Combine the salt and sugar. Rub the pork belly slices with some of the salt and sugar mixture. Spread a layer of the sugar and salt mixture on the bottom of a glass, ceramic, or stainless steel container. Place a layer of pork belly slices on top. Sprinkle the pork slices with a little more of the salt and sugar mixture. Add another layer of pork slices and then the sugar-salt mixture. 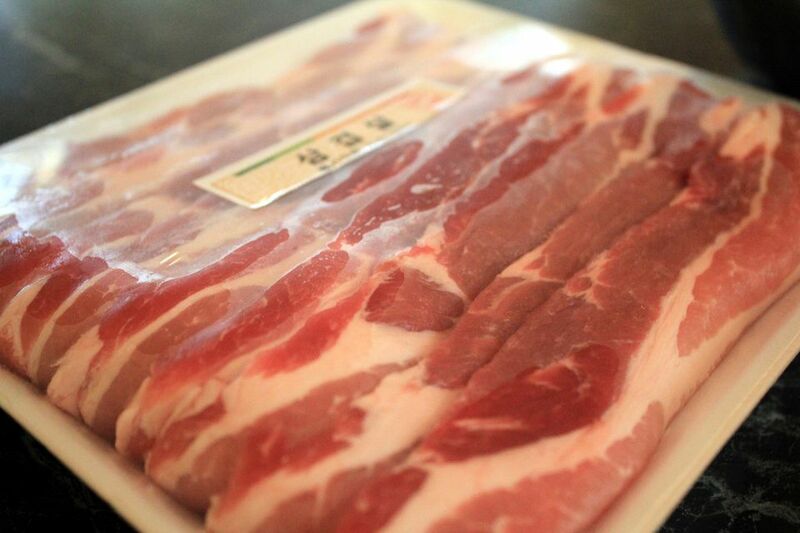 Continue adding layers of pork belly slices, sprinkling each layer with the salt and sugar mixture. Cover and refrigerate. The salt pork will be cured and ready to use in 2 days. It will keep in the refrigerator for up to a year (it is still safe to eat after this, but the flavor declines). To use, rinse off the salt pork slices. Pat them dry with a paper or clean cloth towel. Cut into cubes or small strips. Cook over low heat until most of the fat is rendered out. Sauté a chopped onion in the rendered salt pork fat and you're well on your way to making great chowder.